We have recently completed a joint project with the Royal Botanic Gardens, Kew and the Natural History Museum London (NHM), to digitise important genera in the pea and bean family, Leguminosae. The project was funded through an Official Development Assistance (ODA) project allocated by DEFRA. To aid the conservation and sustainable use of rosewoods and Padauk (Dalbergia and Pterocarpus). To support the development of dry beans as a sustainable and resilient crop (subtribe Phaseolinae). By collaborating on these target groups, we were able to digitise over 37,000 legume specimens. This work is opening up collections that would not otherwise have been available for research without scientists finding the money and time to travel to Edinburgh or by sending the specimens out on loan with all the risks involved in transporting the delicate material. All three institutions used high throughput digitisation workflows to minimally database and image the specimens. Additional information was added as a second phase, with either in-house transcription or the citizen science platform DigiVol being used. These datasets will be made available online via the Global Biodiversity Information Facility (GBIF) and partner sites, and will also be used to perform gap analyses on collections across the institutions. At RBGE we databased a total of 7,410 specimens and imaged 8,839 specimens. All of the Dalbergia specimens were fully transcribed and georeferenced, whilst the Pterocarpus and Phaseoline were fully transcribed. 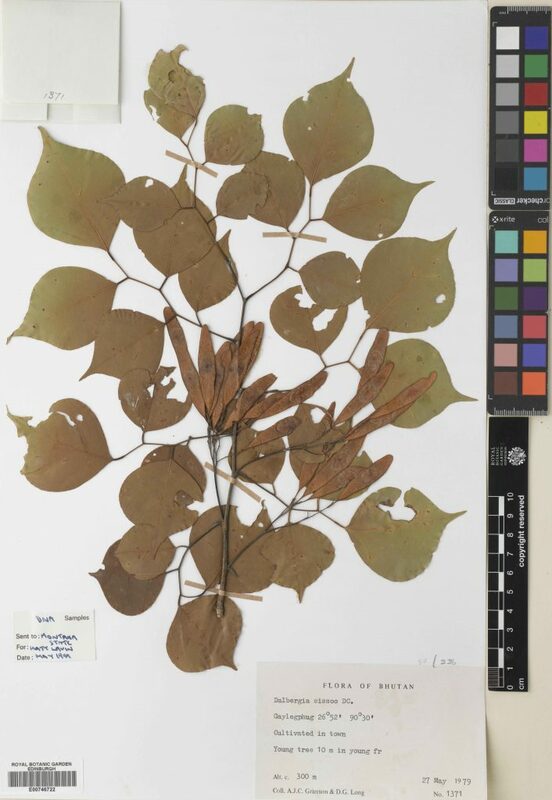 In addition to the Dalbergia, Pterocarpus and Phaseolinae we also digitised Inga and the sub tribe Fabeae. These are now available on our own Herbarium portal at http://data.rbge.org.uk/herb.